Comings and goings, job changes in the world of security leadership. Find up-to-date news of CSO, CISO and other senior security executive appointments. Lee, special agent in charge of the Federal Bureau of Investigation's Richmond Division since 2014, will join the company as vice president and CSO effective December 1. In this newly created post, Lee will be responsible for physical and cybersecurity across Dominion Energy's footprint. He will be expected to direct the development and implementation of corporate security policies and procedures that protect physical and cyber assets and to comply with all applicable laws and regulations, including those dealing with privacy. Lee will liaise with all outside government and law enforcement officials on physical and cyber security matters for the company. "Adam Lee brings unparalleled experience to Dominion Energy as we work to harden our physical and cyber assets and protect them from potential bad actors," said Thomas F. Farrell, II, chairman, president and CEO, in a press release. "He is well-respected in law enforcement both around Virginia and our nation, and I expect him to do a tremendous job at our company, just as he has done for more than 20 years in the FBI." Lee retired from the FBI after a career spanning 22 years in intelligence, white collar and cybercrimes, honest services fraud, among others. He was previously chief of the FBI's Public Corruption and Civil Rights Section. In 2017, he was appointed by former FBI Director James Comey to lead a comprehensive study of the FBI's headquarters and organizational model. Lee's experience there also includes leading the Central Virginia Domestic Security Alliance Council (DSAC) – which is composed of selected Fortune 500 companies within Virginia – and providing investigative and technical support on complex cyber intrusions and managing the FBI's relationship with government and private sector in Virginia in the areas of organizational risk, insider threat and cyber intrusion detection. 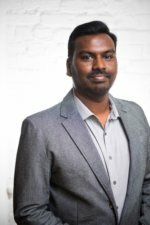 Somanathan will be responsible for information security, governance, risk and compliance related to product development and production infrastructure at customer engagement software provider Freshworks. He brings more than two decades of industry experience spanning the information assurance, business security and cyber resilience sectors. Somanathan most recently served as CISO for India operations with Tata Communications. Somanathan holds a master’s in cyber law and security from National Law University in Jodhpur, India, and a degree in B. Tech-Electrical & Electronics Engineering from the University of Calicut. He also earned postgraduate diplomas in international business from Pondicherry University and digital business from Columbia University (New York). “As a unicorn and a next-gen SaaS firm in the making, Freshworks is best-positioned to create a value differentiator in the market through its adaptive security posture. It not only caters to the data protection and privacy requirements of our clients, but also meets the regulatory and statutory obligations for the markets they serve. I’m excited to create and sustain a model where security is forged at the speed of business,” Somanathan said in a press release. Hickman will be responsible for capturing the voice of Keyfactor customers and evangelizing the importance of securing every digital identity to improve cyber defense and operational efficiency. He is a recognized expert in digital identity security, with more than 20 years in the industry including Alacris and Critical Path. He was most recently vice president of platform enablement at Keyfactor, responsible for the on-boarding of customers, systems integration, support and operations. "More and more we're hearing about the innovative ways our customers leverage the Keyfactor platform," said Kevin von Keyserling, CEO and cofounder of Keyfactor, in a press release. "We created this role to ensure our customers continue to drive our future innovation. At the same time, we needed a leader who can deliver thought leadership to the market and encourage enterprises to invest in solutions to secure every digital identity. And there's no one more qualified for that role than Chris. He knows each Keyfactor customer's solution intimately and is well respected by his industry peers." "Our customers are visionary leaders that enable their companies to conduct business on a global scale without security becoming a barrier to success," said Hickman in a press release. "They continue to push the boundaries of conventional IT and are looking to Keyfactor to provide solutions to address the security implications of those new initiatives. As CSO, I will bring these challenges to the talented Keyfactor team and ensure we continue to provide the innovative solutions our customers need." Smith will lead the engineering team at ediscovery software provider Zapproved, drawing on his 25 years of experience designing and implementing scalable, secure, and highly available systems for companies including Wolters Kluwer, ACTIVE Network and Hilton Hotels. His expertise in enterprise-class architecture, security, and large-scale team management will support the expansion of Zapproved’s ediscovery suite capabilities. Previously a technical advisor at DSTOQ, a licensed stock exchange without borders allowing for peer-to-peer trading of tokenized securities, Holtzman will oversee everything related to the security of the DSTOQ platform as CSO. This will involve implementing policies and procedures regarding areas such as business continuity planning, loss prevention, fraud prevention, and privacy. Holtzman will oversee the safeguarding of intellectual property and computer systems, as well as the creation of global security policy, standards, guidelines and procedures to ensure the ongoing maintenance of DSTOQ’s platform as a safe and secure way to invest. With over 30 years of experience in the field of emerging technology, Holtzman has held roles as an executive, software developer, advisor and entrepreneur. As an early-stage internet pioneer while CTO of Network Solutions, Holtzman managed the root server of the internet, designing the global DNS registration system used by ICANN. As IBM’s Internet Information Chief Scientist, he ran the development of Cryptolopes, selling encrypted, digitized content. Meanwhile, during his time at Booz Allen & Hamilton, Holtzman designed and built Minerva, a distributed information system used by NATO and Wall Street. Johnson will be responsible for aligning and overseeing security and networking initiatives as related to enterprise programs and business objectives at MEDHOST, a provider of healthcare engagement solutions. He will play a pivotal role in further strengthening the security of our customers' information assets and technologies and furthering MEDHOST's efforts to protect its own data. Michael brings 20-plus years of IT and security experience to MEDHOST. He spent the last eight years at Community Health Systems (CHS) in various information security roles—most recently as the senior director of cybersecurity. Prior to his time with CHS he spent 10 years with HCA as a consulting engineer. Michael has also served 14 years in the United States Army Reserves and Tennessee National Guard. Razniewski will report to Shift cofounder and CTO David Durrleman, and he will drive the company’s efforts focused on data security, data integrity, and adherence to global industry regulations and best practices at this provider of fraud detection solutions for the insurance industry. A highly experienced data and systems security professional, Razniewski joins Shift from La Banque Postale, a €5.7 billion banking subsidiary of the La Poste group, where he served as the organization’s information systems security officer. Razniewski will operate from the company’s Paris headquarters and oversee all data security strategies and initiatives while expanding Shift’s global team of data security experts. An information security veteran, Razniewski has held a number of data and systems security positions including leadership roles with DIFENSO and France Telecom. Crain joined MedBen in 2003 as a technical specialist and was subsequently promoted to technical services lead and manager of technical services and web development. Most recently, he served as director of security, infrastructure and web development. 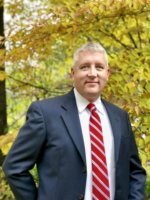 In addition to his CSO responsibilities, Crain will oversee MedBen’s IS operations involving its claim systems, websites, network and computer resources, as well as overseeing the company’s data services unit. Zematis has 20 years of experience in higher education IT, most recently holding the position of information security officer at Charter Oak State College before becoming its CISO in 2017. 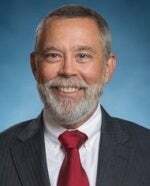 He also recently served as senior director of infrastructure at Western Connecticut State University. As a member of the Library and Technology Services leadership team, Zematis will work with university leadership and with staff throughout Lehigh, addressing the larger institutional issues of security policy and practice, data governance, risk assessment and business continuity, as well as the compliance requirements. Zematis will also take the lead role in the creation or expansion of proactive threat reduction and security response measures, including vulnerability assessment and remediation, malware detection, desktop patch management and full-disk encryption across campus. Conway, CSO of Cisco's Global Value Chain, joins the InfoSec Global (ISG) advisory board, which lends its expertise to accelerate the cryptography company’s multi-industry market momentum and meet the growing demand for IoT security. She brings over 30 years of rich experience in developing and leading strategies that improve security and resilience throughout global supply chains. Her roles and expertise in delivering security architectures, technology licensing and government security solutions will help to drive ISG's global strategy in highly regulated markets. "I am thrilled to join ISG's advisory board and support its mission to put flexible cryptographic control in the hands of its customers. ISG's Cryptographic Lifecycle Management brings the promise of adaptable security and cryptography to reality - for today and for our quantum future," said Conway in a press release. Formerly the head of information security at Ripple, Jaladi will oversee the information security strategy and programs at Harbor, a blockchain-based private securities firm. Sujay is a cybersecurity strategist with more than a decade in senior roles at leading companies, including Ripple, Gusto, Prosper Marketplace, Xoom Corporation (a PayPal service), and Hightail. Most recently at Ripple, Sujay was responsible for all aspects of security and managing risk across the company. His experience includes working in high-transaction environments where millions of transactions are processed every hour and performance is extremely critical. In this newly established role, Vadala will develop Moody’s Investors Service’s (MIS’s) capabilities for evaluating cyber risk, including a framework for the consideration of cybersecurity risk in credit analysis, and will spearhead innovative research, analytics and market outreach in this area. Vadala has served as Moody’s CISO since 2013 and has been with Moody’s since 2003. He has over 20 years of experience in information security and technology management and has spoken and published on topics including security risk management for large enterprises and systems administration. Pufahl has joined TBNG, a provider of integrated IT solutions in New England, to lead its information security and cybersecurity services division. In this role, he will expand the company's service offerings to establish TBNG as a unique and versatile partner in securing customer data and IT resources. Pufahl reports directly to Managing Partner Michael Grande. "TBNG is committed to expanding its Information and Cybersecurity service offerings and no one is more capable to lead this effort than Jason. He has developed an exceptional reputation as a thought leader in information Security,” said Grande in a press release. “My partners and I are thrilled to welcome him into the TBNG family. In his role, Jason will provide the necessary leadership and experience that will better serve our customers as we continue our growth, both regionally and beyond." Pufahl previously served as CISO and director of infrastructure at the University of Connecticut. He has dedicated the last 15 years to information security and privacy, and he possesses over 20 years of information technology experience in total. He has an extensive background in enterprise security technical controls, development of risk management programs, industry compliance requirements, state and federal regulatory demands, identity management and security analytics, and establishment of disaster recovery programs and test scenarios. Smart-Gill will provide leadership to scale Proficio’s service delivery platforms and head strategic initiatives to extend the managed security services provider’s success in the healthcare industry. He has more than 20 years of experience in healthcare IT and is a CHIME Certified Healthcare Chief Information Officer. Prior to joining Proficio, Smart-Gill was the corporate CIO of Bumrungrad International, a hospital group located in Southeast Asia. He also cofounded a technology consulting group and ERP/EMR software company that was sold to Microsoft. While at Microsoft, he specialized in architecting healthcare information solutions that interacted with data systems and medical devices. Dickon is a frequent speaker at industry events such as HIMSS. As vice president and CISO, Schaufenbuel oversees the information security function at Paylocity, a suburban Chicago-based technology company that develops and maintains cloud-based payroll and human capital management software. Paylocity has 2,600 employees and maintains operational centers in Schaumburg, Illinois; Meridian, Idaho; and Lake Mary, Florida. Given the sensitivity of the information that is entrusted to it by millions of client employees, Paylocity has tightly embedded information security and privacy considerations into its products and its award-winning culture and is SSAE 18 audited and ISO 27001 certified.